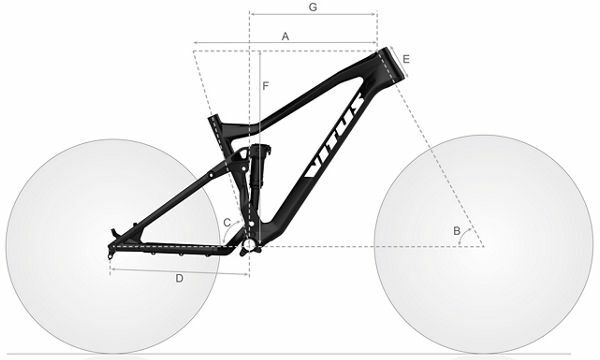 Vitus Nucleus 275 VRS Mountain Bike (2019) is rated 5.0 out of 5 by 2. Rated 5 out of 5 by TimPaddon from No wonder this keeps winning Hardtail of the year. So, the last Hardtail I owned way a GT and this blows it out the water, such a great spec for the money and easy to upgrade the element’s that you want. Highlights for me is the spec, the tires are awesome and the Vengeance up front is a beast for grip. Once you get you Vitus you realise the sheer build quality compared to more (off the shelf bikes) that I’ve had in the past. Overall Great bike and for me worth going for the VRS over the VR for the better spec Shimano stuff. What is the difference between the vr and vrs models? I prefer the colour way on the vrs but I'm unsure what you get for the extra &pound;100. Thanks. The VRS has a slightly upgraded groupset and upgraded forks compared to the VR. Inside the box will be the bike and a small box with pedals, reflectors etc. It's a coil fork. I hope this helps. It is thru axle front and rear? It is thru axle front and rear? What brand x dropper post model is compatible?